Tags: Black, Flapper, Formal, Long Length, Party, Shirt. Black pure chiffon long shirt with flapper. Shirt features stunning embellishment all over the front. Small motifs scattered all over the back. 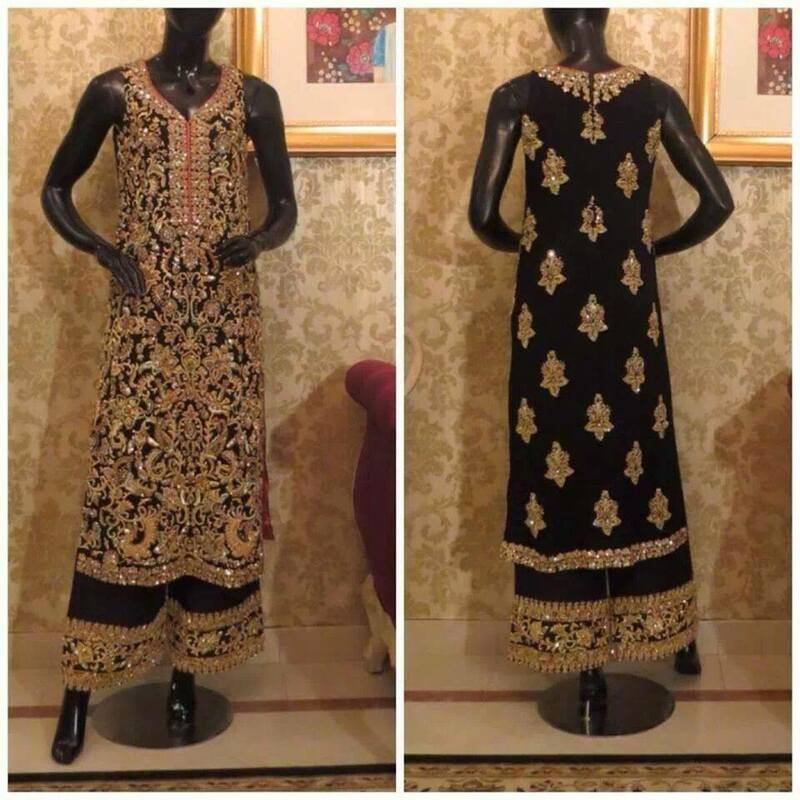 Black pure raw silk flapper having embellished border at the bottom. This dress comes with matching dupatta. Finished with banarsi piping.